When I began teaching computer skills to students, I had no idea how to teach keyboarding. I knew that it was a crucial skill that students today need to have, but wasn't sure how to approach it. As I honed my ability to teaching keyboarding, I have found many useful resources on the internet to share! This is a program that I recently found and really like. It is called Learn Keyboarding and is very basic. It has verbal prompts and only displays one letter at a time to type. It goes through lower case, upper case, numbers, and symbols with a little game in between each level. My students LOVE this program. It only displays one line of text at a time and has an excellent color-coded keyboard that can be hidden or displayed depending on the students typing ability. At the end of each lesson, students are rewarded with a fun cartoon music video. The faster a student types the more points they get. ABCya! has created an activity that has students put the keys on the keyboard back where they belong. My second graders love to race each other and see who can do it the fastest. This has helped my students learn the placement of the keys much quicker. 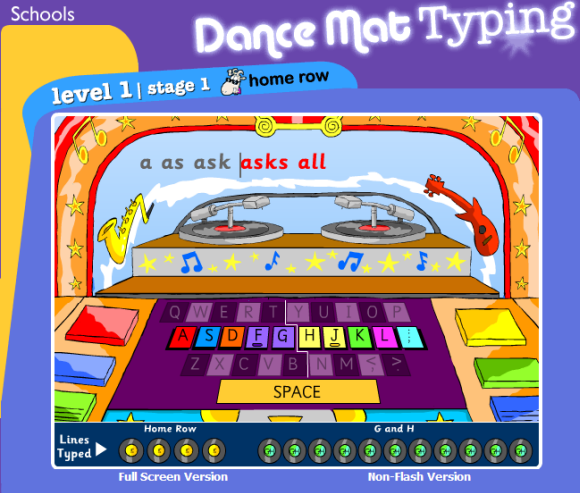 There is also a typing game on ABCya! called Alpha Munchies Typing Game. A typing game that looks like Pac-Man, students type the letters to guide Keyman to collect the dots and avoid the ghosts. This site has 20+ typing games that vary in difficulty and have themes similar to popular iPad apps. The games are engaging and challenging, but the placement of ads among the games may result in students clicking on something unintentionally. One of the favorites in my lab is Typing Ninja, similar to Fruit Ninja. There are 10+ games to help students practice their keyboarding. Typing Tidepool is a favorite! If you are looking for a non-web based typing program that tracks students, I recommend Type to Learn 4. When I started teaching technology classes my school already had a keyboarding program, but I soon realized that the program was outdated and not user friendly. I began to research and settled on Type to Learn 4 because it focuses on speed and accuracy. The program is networked (there is also a web-based version) and the reports that it generates are useful to me, as well as students and parents. It starts with a pre-test and then assigns students to levels based on their success. My one complaint is that I can't print directly from the program, so I have save the reports as an HTML or PDF and then print them. This is the lesson format of TTL4; I like that it includes hand placement and doesn't have too much going on so that students can focus. 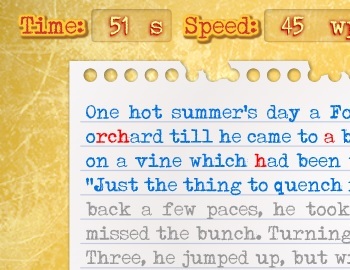 This is a sample of one of the games that tests accuracy and words per minute. You have to done excellent job by providing here useful resource to learn keyboarding for students. And you give accurate explanation of all resources for learning computer skills. Since I am working with team of expert nursing personal statement writers, ex-lecturers and researchers who are writing adult nursing personal statement for candidate combining with their past education, work-experience and other extra-curricular activities at Personal Statement Folks. I want to suggest this idea of learn keyboarding to my sister who is looking for such kind of resources for her kids. Thanks. Teaching keyboarding and computer skill to kids is really beneficial for them as it is increase their typing ability, helpful to learn mathematics’ with fun and make them clever to face any challenging of life. Being as an academic consultant & working with essay writers in Australia at Secure Assignment Help, I think it is really best educational blog, give a guidance and solved problem of my sister who is worried for her kids. So I would like to suggest this post to her & hope she would like it. Really a great work students can choose for better reference, The real advice for the students..!! There are a number of admission essay writing service provider and there may be some cheating one. So it is very important to choose a best top essay writing services provider from online to make a best choice.